The same weekend we dipped our toes into the Wagamama dining experience, we also visited the Dr Who Experience in Cardiff. This was a trip that has been a long time in the planning and which was the result of M winning the Grand Prize at the Big Bang Science Fair that we attended at the NEC earlier this year. There has been a fair amount of to-ing and fro-ing to settle on a date that suited all involved, but finally the day arrived and the whole family, plus one extra excited 9 year-old, started on our way. 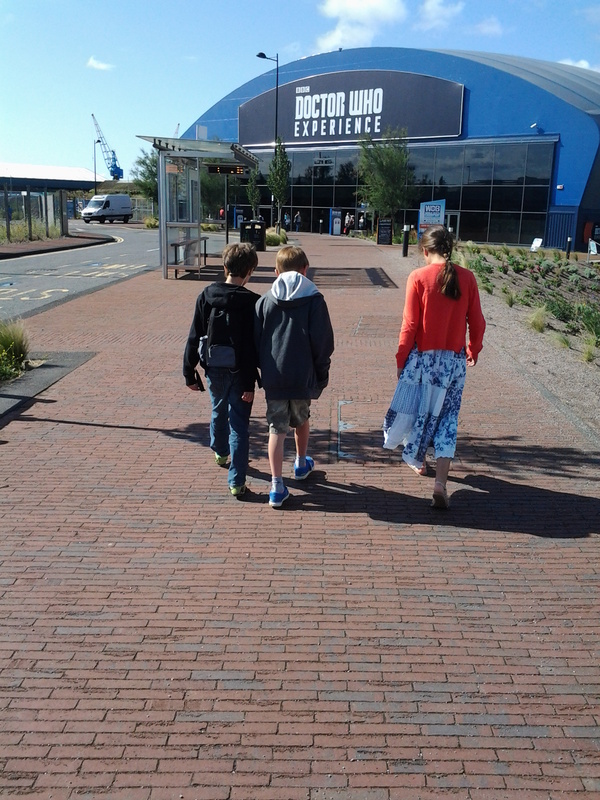 We arrived at Cardiff Bay bright and early and meandered our way in the glorious Welsh sunshine towards the purpose-built centre, following an eager M, his friend N and a slightly less certain G.
Our visit started with the interactive tour, which led us on an intergalactic adventure to help 12th Doctor, Peter Capaldi, save the universe. It starts in the Gallifrey Museum and weaves it way through various unmistakeable Dr Who locations before reaching its thrilling conclusion. Despite the initial reluctance of both M and G, neither of whom are fond of loud noises, darkened rooms or unexpected surprises, we made our way through unscathed and N, a much more avid Dr Who fan than M will likely ever be, eagerly took up the challenges we faced. The experience asks that no photos or filming is done during the interactive tour to ensure there are no spoilers out there for future visitors and we were more than happy to oblige. Adventure completed, we headed into the exhibition hall, which is a veritable feast for any die-hard Whovian who is lucky enough to visit. I could quite happily have spent a couple of hours perusing the costumes, props and other pieces of memorabilia from the past 50 years of this cult TV classic. I was thrilled to see an original Dalek and various incarnations of the Cybermen, the best-loved classic enemies of the Doctor, placed sympathetically amongst their more modern counterparts. There was a fantastic array of costumes featuring not just those of each of the 13 Doctors seen on our screens, but also a selection from some of their ever-faithful companions. 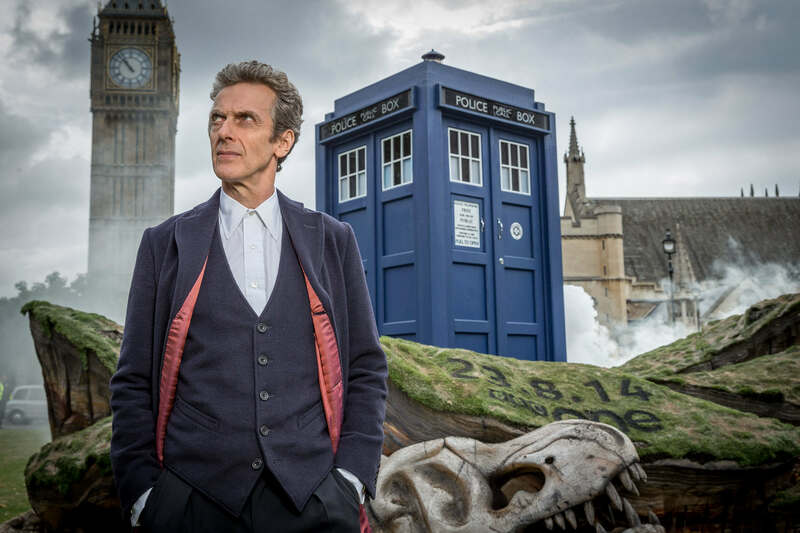 Awaiting discovery around every corner were unimaginable treasures including K9, multiple sonic screwdrivers and the iconic Time And Relative Dimension In Space (better known as the TARDIS to you and me) – both inside and out. We spent a happy hour or so exploring all that was on offer, everyone enjoyed the visit and I think I possibly proved myself to be the biggest Dr Who geek of the family! This entry was posted in Family, Friendship, Parenting, Reviews, Travels and tagged Big Bang Science Fair, Cardiff, Cardiff Bay, companions, competition, competition winner, Cyberman, Daleks, days out, Dr Who, Dr Who Experience, family, friends, Fun, K-9, memorabilia, memories, museum, parenting, prize winner, Sonic screwdrivers, summer, Tardis, Wales on August 4, 2015 by bluesingingdragon.